Our Content Editor, Amy Pickles, meets Tim, one of the new members of our 2018 RASL cohort. They discuss his reasons for choosing the Double Degree programme, differences between art and music, and ways of learning. This interview has pedagogical tendencies. Tim is a new Double Degree student, I talk to him during the first month of his first year. 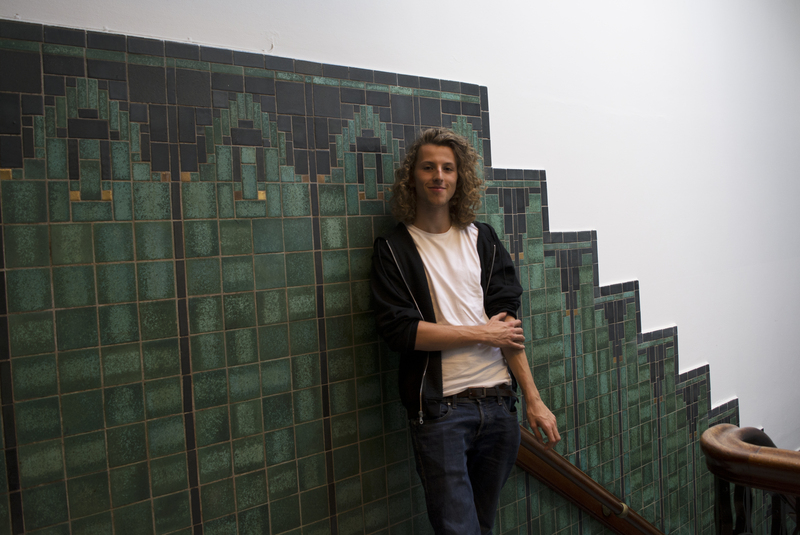 Tim studies at Erasmus University College (EUC) and Codarts in the World Music department, where he specialises in Latin Vocals. For now his studies at EUC are Academic Core, a set curriculum that he will later be able to cater to his interests and strengths. We begin our conversation with the motivations for choosing his course at Codarts. I grew up with this music, I am from a Dutch family but we would play Latin American music all the time, they filled the house with it. So I kind’ve got brainwashed with music if you will! I really enjoy music, especially from Brazil and Cuba. And why did you choose the RASL Double Degree? I think for the same reasons as the other Rasl’ers, simply that I couldn’t choose one or the other! If I elaborate, then I truly love music. It’s one of the things that makes me the happiest in life. But at the same time, if I would only participate in music I think a part of my brain would get bored. I wonder if this combination can help me perform better within the other discipline? So, academic thinking can help me at Codarts and my music training can help my studies at EUC. Do you have ideas about how you can combine your singing with your academic studies, here on the Double Degree? I would love to, though I think it will be hard. I think this is very possible with the Willem de Kooning studies, where you can combine theory with your visual practice. But with my combination of EUC and Codarts it’s much more difficult. Art can be provocative and conceptual, whereas music is something simply in our lives. We talked more about music in the social and cultural fields, and ways music can stimulate political discussion in society. Tim describes the genre he loves, and studies, Latin American music. A lot of songs are about love and pain, this is not necessarily political. It can be, you know it can be metaphorical. But I have yet to discover how to bring the political into my work. This response is something we return to it in more detail during the interview. Discovering how to bring in the political to a creative practice emerges as a focus of the Double Degree. Our conversation moves to discuss ways of working. Tim describes his first performance at Codarts during the Introduction week. All new Codarts students had been placed in groups to combine all disciplines at the school and, after three days of intense collaboration, they presented their short performance works. How did you find the process of collaboration in a short time frame? The exercise was very intense. We were five singers and we made a little funky piece. We wanted a space for variation, so instead of practicing a song we decided to stick with a groove and build it from there. The dancers adjusted their pace to fit in, and sometimes they would come up with choreography and we would create sounds from that. I’m interested in how people collaborate in creative disciplines. Collaboration is encouraged and often expected; it is an essential skill to be able to work with people. In the more academic side of things, collaboration has a different structure, but perhaps here a creative approach could be useful. Tim continues This is something I thought about when choosing EUC, because they use Problem Based Learning. Every course is PBL at EUC. Problem Based Learning is a way of group learning that is active, to learn by doing. PBL courses are work led and formed around collective problem solving. Learning to find the answer as opposed to being told the answer, as in a formal classroom setting. Read more about Active Learning at EUC. PBL really works for me. You’re engaged in conversation, you’re bouncing ideas between one another while in dialogue. I enjoy this way of thinking. 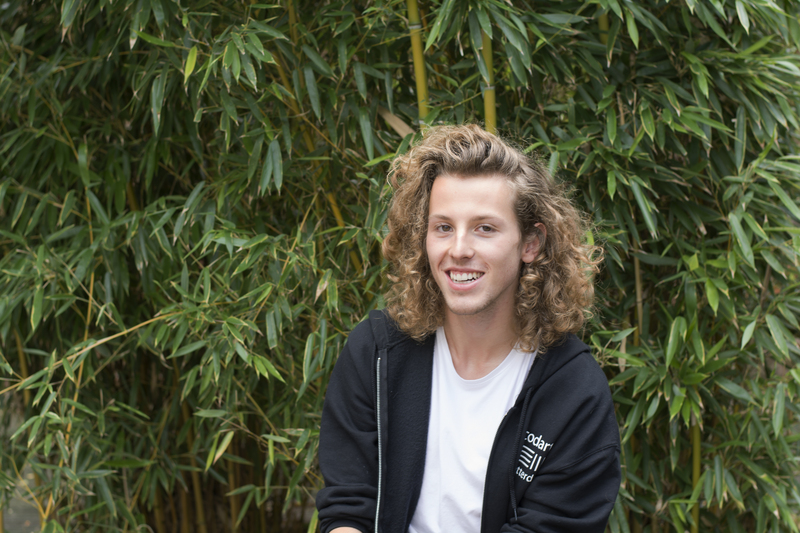 Tim credits the Double Degree as a study programme that appreciates and cares for different approaches to learning. 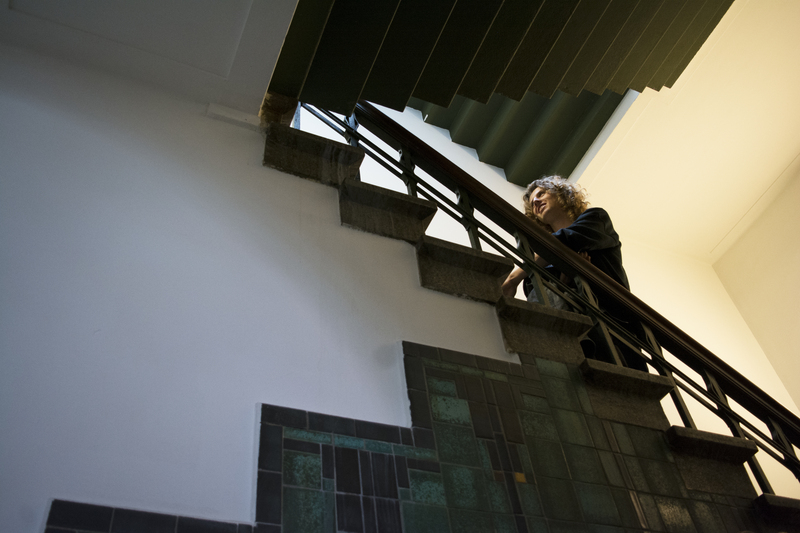 Individuality is appreciated in the Double Degree, where it is worked into the curriculum. We come back to talk about the RASL Introductory week, where Tim participated in both University introductions – it was the most hectic week I’ve had in a long time – and we talk about his visit to Atelier Van Leishout, an artist studios they visited during a Rotterdam tour. I found it hard to agree with the concept of publishing art under one name when so many people are working for him. I thought, isn’t this frustrating for you? I couldn’t understand why they would just be following the herd. Tim’s curiousity extends into people’s motivations not for simply choosing their discipline but how they work within the creative area, I feel the political is returning to our dialogue. What are Tim’s own motivations? His own perception of Van Leishout’s work was a teasing provocation, I ask if he intends to challenge an audience with music? I see music as a way to touch people, not to be provocative, but to really utter your own emotion and reach out to other people’s emotions. But then could these moments of intimacy between strangers not be perceived as a provocative act? We move onto discuss the provocative musical works like John Cage’s 4’ 33’’ . 4’ 33’’ is an innovative composition of performed silence. John Cage was an artist who moved between disciplines of art, music and science. I ask for Tim’s favourite singers. He shares with me Maria Rita, the daughter of Elis Regina. She is considered to be one of the biggest singers of Brazil of all time, she died very early, at 36, from a drug overdose. Still today she is considered the most beautiful voice of all Brazil. I was able to see her daughter, Maria Rita, perform last year. Would be called traditional music in Brazil? It’s kind’ve pop, this traditional music is still played today. And that’s what I like about this music, it contains so much history and that lets it connect with so many people. In this culture the traditional sound is very alive. Compare that to here, where our music from one hundred years ago is considered old. It’s classical music and it is only played in certain environments, whereas Latin American songs are still being played today in Brazil. It’s interesting to compare time scales between continents and countries. Yes it’s not necessarily one to one with other parts of the world. I think our conversation about music has become political! Yes it has! And this is also just like Problem Based Learning, because we were bouncing ideas off one another, without being told a prescribed answer, and now we have reached an outcome of our earlier question. Thank you to Tim and all characters in our educational hyperlinks.